We are really pleased to be offering various youth groups for our children and youth from school year 5 through to year 12. The groups meet 2 or 3 times a month in age related groups at various venues. Here the children have the opportunity to talk more about their faith and discuss relevant issues in a safe, secure and non judgmental environment. Once a month we have a purely social event which, might include anything from watching a film to going on a Safari Supper!! We meet together from 10.15 am in the Parish Hall for tea, coffee, cakes and croissants. This is followed by an informal time together for the adults which includes, worship, prayer and some time and space to think, chat and share together. In the meantime the children are having plenty of fun and games in the main hall – which also includes a main bible themed story with related activities. A relaxed and enjoyable gathering to which everyone, however young or old are truly welcome – there is something for everyone! All Ages Service – Normally 4th Sunday of the month. An opportunity for all the Church family to gather together for a service in church at 9.30am that follows a familiar format each month and is a service which is accessible for everyone. There are even bacon butties! Pop up to church for a coffee and chat at 9.15am, followed by a short time together to introduce our babies and toddlers to some of the favourite bible stories, followed by a craft activity, singing and prayer. 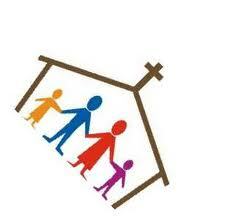 A great opportunity to familiarise the children with church – both the building and the message! Everyone is welcome to join us – even if you don’t have little ones- the extra pairs of hands are always appreciated! To read about this item please look on page 10 of the Parish Paper, to be found at http:Paper.pdf//www.payhembury.org.uk/images/2018-01-Parish-Paper.pdf. To read about this item please look at page 7 of the Parish Paper to be found at http://www.payhembury.org.uk/images/2018-01-Parish-Paper.pdf.